A cool little inn with lots of style, friendly staff, fabulous food and a happy vibe. It sits on the northern border of the Lake District with the High Pennines waiting above, a great base if you want to explore some blistering country. Inside, you'll find stone floors, colourful art and leather armchairs in front of a roaring fire, a good spot to recover after a day in the hills. There's an airy bar for a pint of Hawkshead, then an attractive restaurant for some very good food. Berries and mushrooms are foraged, vegetables are home-grown. As for the meat, Charles rears slow-grow breeds of beef, pork and lamb on the Lowther estate nearby, so come for local food that punches above its weight, prepared by award-winning head chef, Gareth Webster. Perhaps roast pheasant with chestnuts, followed by Askham apple and cinnamon sponge. Heaven. 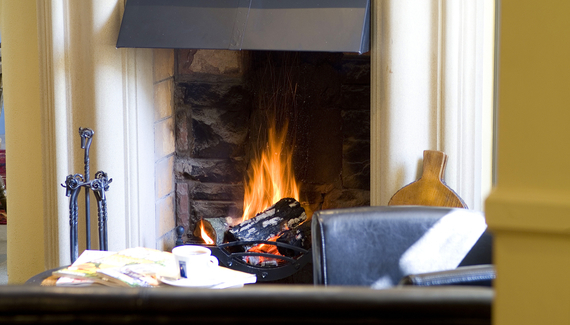 The George and Dragon is situated in the heart of the Cumbrian countryside, on the edge of the Lake District close to Lake Ullswater. The surrounding mountains, rivers, lakes, wildlife and history make this an idyllic spot to visit. The Lowther family has five miles of private salmon and trout fishing along the idyllic River Eden. Much of our produce for the menus at the George and Dragon is grown and reared in the gardens and fields at our sister establishment Askham Hall (open to the public). A restaurant, cafe, luxury accommodation and party barn is also available here. Visit the Lowther family Estate and Castle and gardens, within an easy walk or short drive from the George and Dragon. The George and Dragon is situated in Clifton village located on the side of the old A6. Once the main highway north – before the M6 was built – this road is now much quieter. There are a number of nearby woodland trails and the famous Rebel oak tree, where the rebel army of Bonnie Prince Charlie was defeated and driven out of England. Clifton marks the site of the last battle to take place on English soil in 1745. "Lunchtime visit. Pleasant service,dog friendly( in the bar), and real skills obvious in the kitchen. 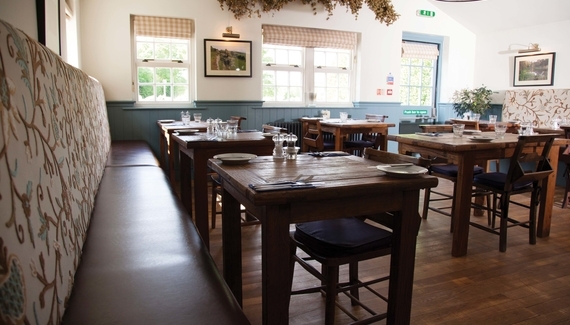 This is a worthy winner as Cumbrian Dining Pub of the year." 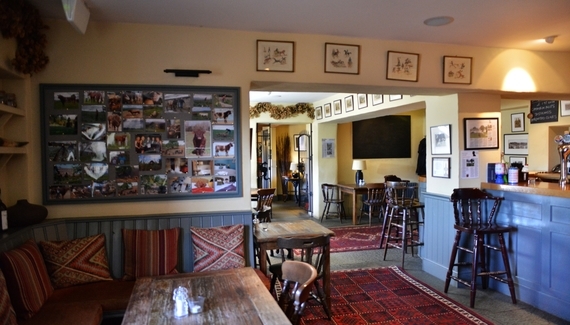 Have you visited George and Dragon? 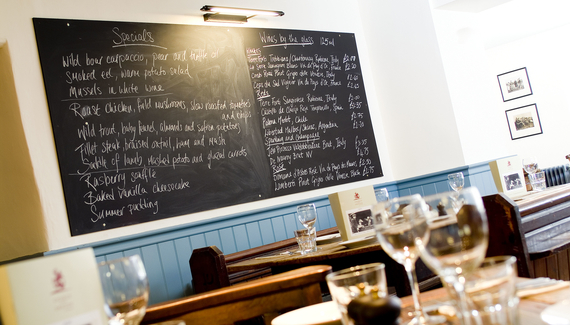 Lunch & dinner from £12. Sunday lunch from £12.95. Dogs welcome in the bar dining area and bedrooms (not the main restaurant). Doggy welcome pack including treat, map of local walks and doggy bag. Dogs £10 per stay. Max. 3.